Panasonic (the manufacturer of Technics) have announced that production of the world famous Technics SL-1200 and SL-1210 DJ turntables will stop at the end of February 2010. “It is a sad day today but due to low sales globally in analogue turntables a decision to stop production has been made on Technics Turntables,” Panasonic spokesman Ian North explained. Panasonic's Ian North has denied reports saying that he is uncertain where the rumour originated and while he is still waiting on clarification from Japan, news that sales would end in Australia was "premature". We received an email from the NZ Panasonic product manager for Technics, James Petterson (who we have dealt with for many years now), on 19th November advising “I am sorry to say that the manufacture of Technics turntables will end in February (2010). A sad day!”. Печально, но факт. Со следующего года не будет вертушек Technics. Продукт перестал быть массовым и не укладывается в бизнес Panasonic. Sad but true. 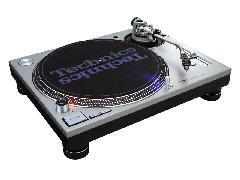 Starting next year, will not turntables Technics. The product is no longer a massive and does not fit in the business Panasonic. I’ve spoken several times this week with James (the product manager here at Panasonic NZ), who has had a number of calls with Panasonic Japan over the last three days. While Japan haven’t given us anything official as yet, James says that they have now told him that production of the Technics turntables is currently under review and that they haven’t made an official decision yet either way - which marks a back-pedalling on what they’d said to him and Australia (and Russia?) earlier! "Regarding Analogue turn-table products, we have to inform you of our decision to terminate the business within this year, regrettably. Followings show the reasons which made us to reach to this conclusion. 1) Since beginning of the last decade, our sales of turn-table has been decreasing drastically. It's almost one-fifteenth sales units compared with 10 years ago. 2) Never the less, many key parts are no longer available as some of our suppliers stopped production, and some have already discontinued their business. And there is a risk for some key parts that are available currently might be stopped suddenly, because those parts are continued producing only for our turn-table. In that case we cannot produce products that we have taken order already. We cannot help discontinuing production in advance in order to avoid the worst case."